Our 100% online OSHA Hazard Communication to GHS transition training course helps employees who use or are involved with hazardous chemicals at the workplace to introduce the changes to the HAZCOM Standard as it was brought into alignment with the Globally Harmonized System of Classification and Labeling of Chemicals (GHS). 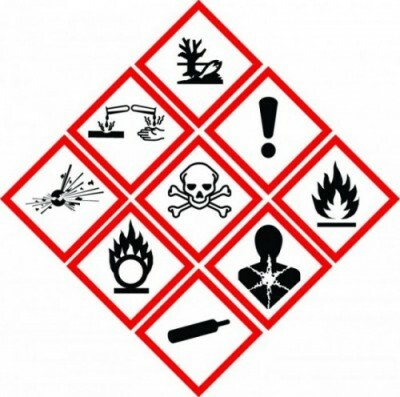 Training topics include hazard classification, labeling and Safety Data Sheets (SDS). Our online Transitioning from OSHA Hazard Communication to GHS training course was designed for employees who use hazardous chemicals at the workplace, or are involved in shipment, import, or manufacture of hazardous materials. This course provides training on the changes to OSHA’s Hazard Communication Standard as it has been aligned with the Globally Harmonized System of Classification and Labeling of Chemicals (GHS). This course is for students with previous Hazard Communication training, as it focuses on the changes implemented in 2012 to bring the 1994 Hazard Communication Standard into alignment with the Globally Harmonized System of Classification and Labeling of Chemicals (GHS). Training topics include labeling, an overview of new hazard classification requirements, and Safety Data Sheets. For students who have not had previous HAZCOM training, our OSHA Hazard Communication (HAZCOM) – Aligned with GHS course provides training on the current 2012 Standard. See the course description for more information. This course includes up-to-date, high quality training designed with your learning as our top priority. The course features interactive training, which combines audio and visual elements for maximum retention. The course is completed entirely online within our state-of-the-art Online Training System (OTS), using a computer with an internet connection. For your convenience, the course is available 24/7 and it can be completed over time, with your progress saved to the last section completed. Students are provided a PDF student manual for taking notes and future reference. We are so certain you will be satisfied with your experience, that we offer a 100% Money Back Guarantee*. What is GHS? | The Globally Harmonized System | GHS benefits | Revising OSHA’s Hazard Communication Standard | Compliance deadlines | Training. Classifying hazardous materials | Classification responsibility | Criteria | Standardized label elements | Developing HCS labels | Classification hazard types | Physical hazards | Health and environmental hazards. Implementing GHS labeling | Required label elements | Pictograms | Label display | Employer responsibilities | DOT labels | Workplace labeling systems. Changes to Safety Data Sheets | SDS requirements | The 16 data sheet sections | Sections 12-15 | Threshold Limit Values | IARC and NTP carcinogens | Pyrophoric gases, simple asphyxiants, and combusitble dust. The objective of this HAZCOM GHS transition training course is to provide training on the changes to OSHA’s Hazard Communication Standard as it has been aligned with the Globally Harmonized System. This GHS HAZCOM transition course consists of 4 sections that must be completed sequentially within our Online Training System (OTS). The sections are fully narrated and interactive. Quiz questions within each section help the student retain knowledge that will be needed for the exam. This course was designed by OSHA Certified Outreach Trainers and is based on OSHA’s HAZCOM Standard and the Globally Harmonized System of Classification and Labeling of Chemicals. This course should be used as one part of your employer’s Hazard Communication Program. This course is not meant to replace company-specific or function-specific training provided by your employer on equipment use and procedures for your particular work environment. You must be trained by your employer on the hazards, equipment, engineering and administrative controls, safe work practices and emergency plans specific to your role and workplace. Employers will need to provide employees training in the use of personal protective equipment or clothing prior to using that equipment on the job.